Here’s a poem I’ve always enjoyed by Thomas Lux. It came to mind as I’ve woken early again, partly due to midlife insomnia and partly the ‘goddamn birds singing’ . It’s called Poem in Thanks. I love being awake in the early mornings when the household is still sleeping, to sit and read in the silent living room as dawn arrives, drinking tea, looking at the garden and the early birds, especially the tame blackbird. Spring is here, suddenly and powerfully. 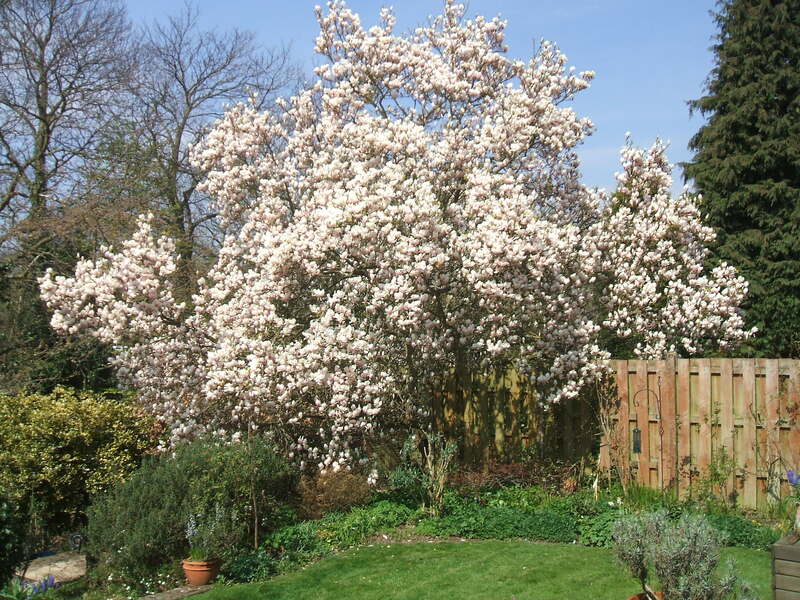 Magnolia trees all over Canterbury – including the monster in my neighbour’s garden that’s mostly in mine – are exploding into extravaganzas of flowers, and my own garden is awash with primroses. It’s Lent and it’s also the Spring Ango – times for contemplation, deepening awareness, more intense spiritual practices. There are three elements to a ‘practice’ – the ‘actual application’ ie doing it rather than theorising – the ‘it’ itself whether an activity or premises, and finally, doing whatever it is, habitually, to improve proficiency. I have brilliant intentions and rather erratic applications – prayer, meditation, dog walks, reading, writing, reflection are all would-be routine practices that are often interrupted – happily – by pressing work, people coming to stay, plans for travel, the waking garden and any number of interesting and welcome intrusions. Last week, as we drank tea, after the weekly Zen practice I attend, there were a few raised eyebrows when I admitted my zumba habit. It’s definitely one of my more reliable and habitual practices. I go to a class virtually every other day at the local leisure centre – more often than I go to the cathedral. I just read on Wikipedia that 14 million people worldwide regularly do zumba classes. Darcy Bussell, former principal ballerina at the Royal Ballet said in an interview ‘I swim and cycle plus I do zumba, it’s my release and it makes me laugh. And I can do anything after zumba – everything is possible!’ I totally concur. As I’ve learned the routines, I find that, in a similar way to walking alone, I process stuff mentally in the sessions, often solving a problem or getting an idea during the hour. The summer before last, when we had a tragic loss in our family, the intense physical effort offered real release and because the environment is noisy and sweaty, I shed many tears there unnoticed. And there was always laughter by the end. And there’s lots that zumba classes have in common with my poetry therapy practice, especially the group I’ve been running for several months now at The Beaney. shame that I have two left feet! You could dance zumba with three left feet – it’s as open as poetry!